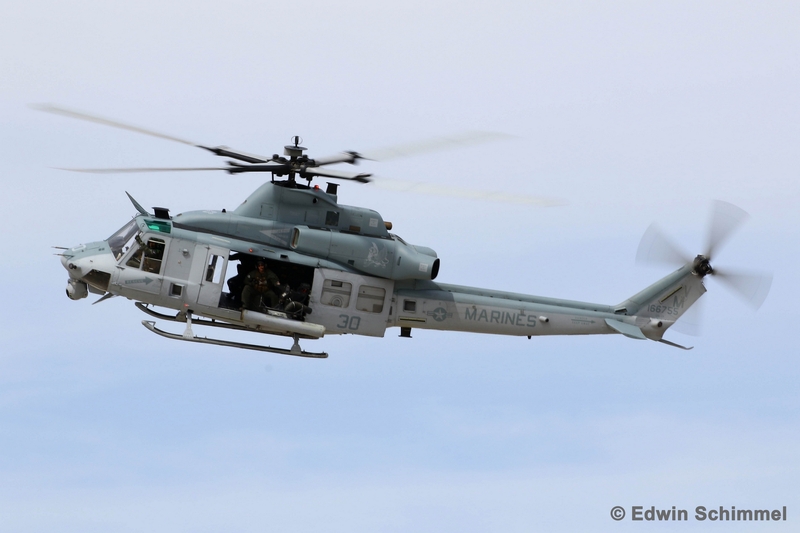 While more northern States where still battling the cold and wintry conditions Marine Corps Air Station Yuma held the first big airshow of 2019 in March. 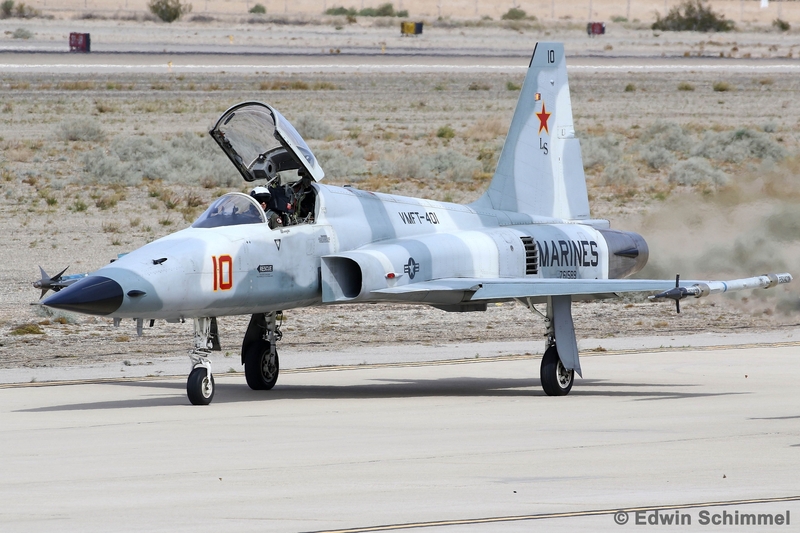 With an interesting static display and more than five US Marines and United States Air Force flying displays, MCAS Yuma opened their gates to the public on Saturday March the 9th after a short twilight show on the Friday evening. After the public entered the showground on the full showday from 9 am they could enjoy the static displays, dance groups, military performers and vendors during the morning hours. 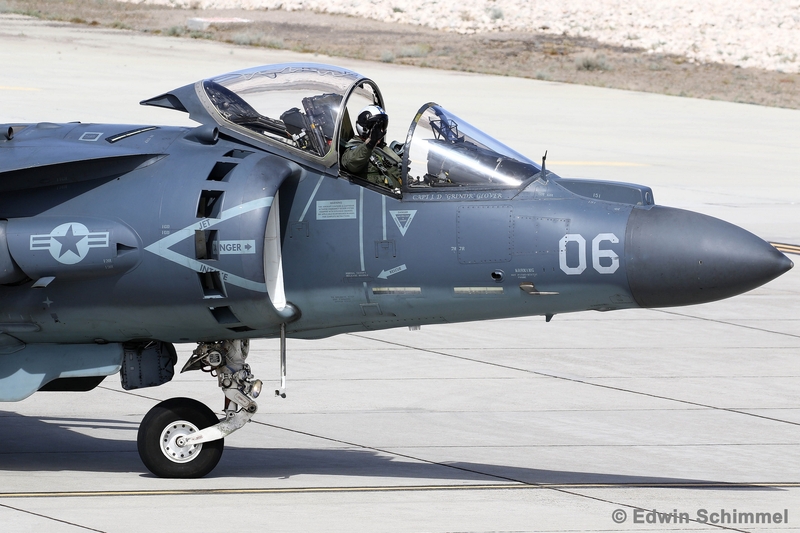 Besides lots of US Marines helicopters (AH-1Z, HH-1N, CH-53E), jets (AV-8B, F-5N, F-35B, F/A-18C) and transport aircraft (MV-22B, KC-130J) there where also two USAF A-10 to be found in the static area as well as several WWII planes. 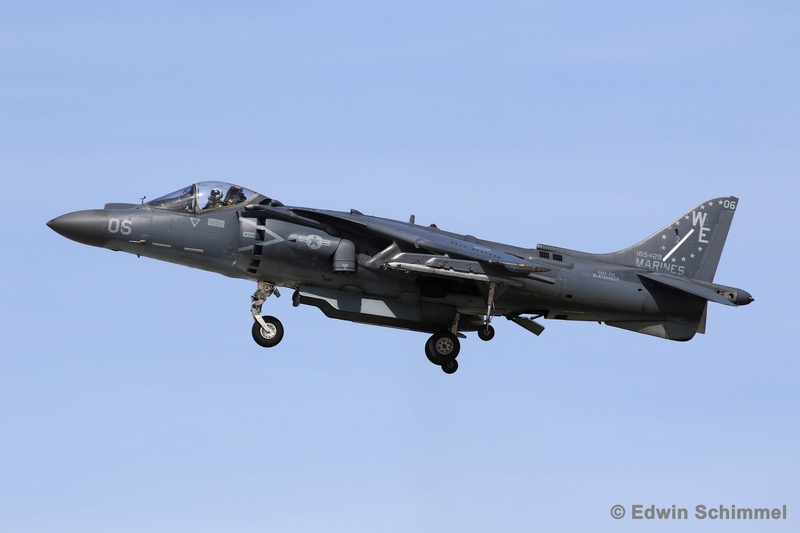 After the National Anthem and the Commanding Officer’s Remarks the flying program started at 11:39am with an impressive AV-8B demonstration. 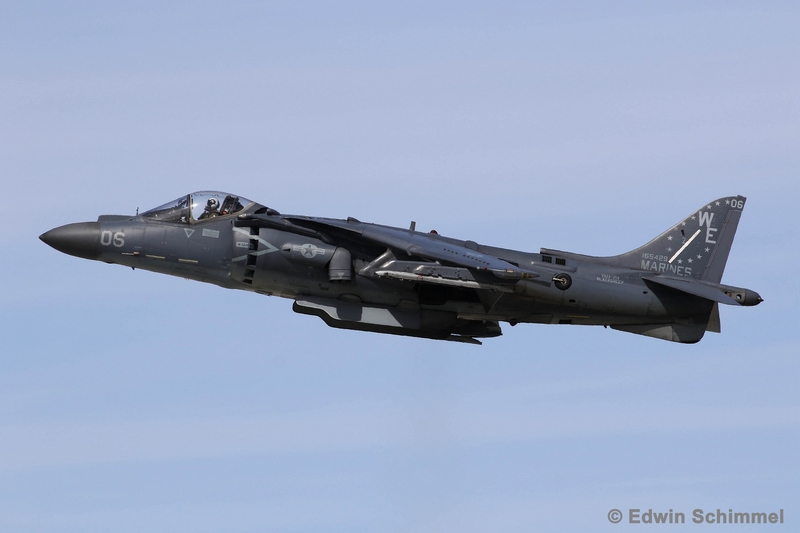 The pilot showed the speed and maneuverability of the Harrier from the Yuma based VMA-214 ‘Blacksheep’ jet followed by its characteristic vertical performances. 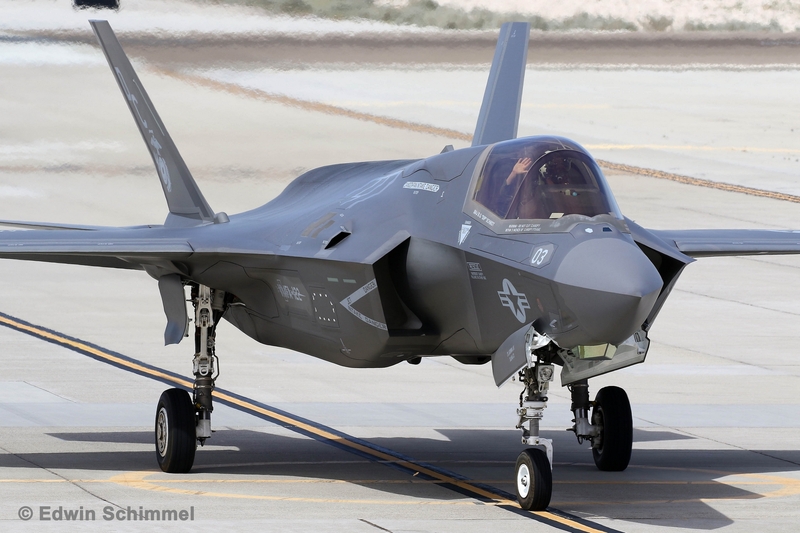 Thereafter it was time for the ‘new kid’ to show its capabilities, the F-35B Lightning II. 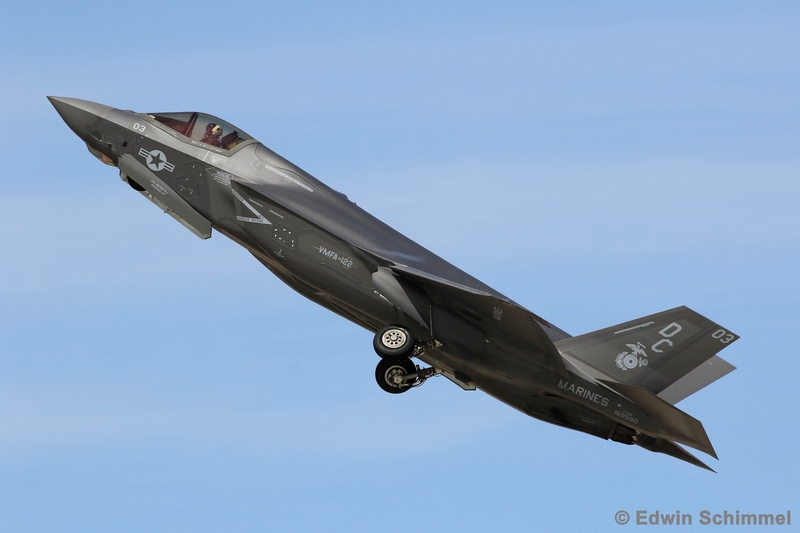 After its very short and noisy take off run the VMFA-122 5th generation fighter made several passes overhead the runway showing the interesting lines and panels of its topside, followed by its belly with opened doors. 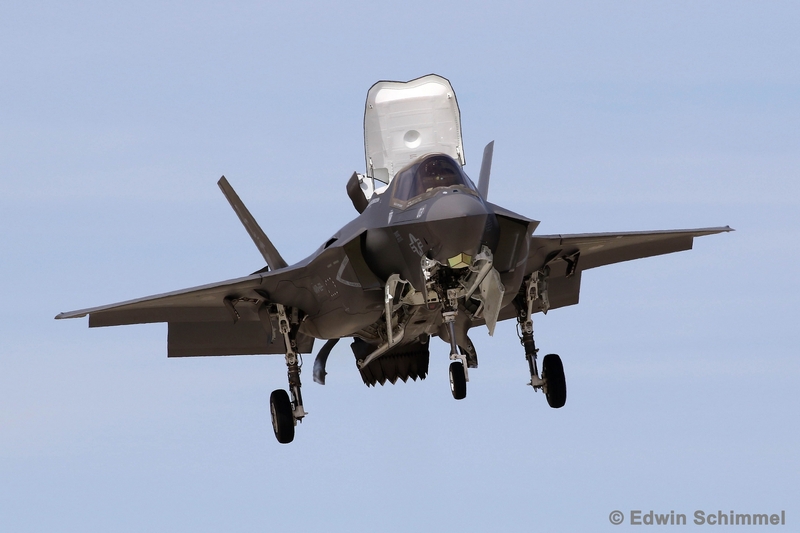 This was followed moments later by showcasing its hovering capabilities and the ability to land this ‘B’ version of the stealth fighter vertically. 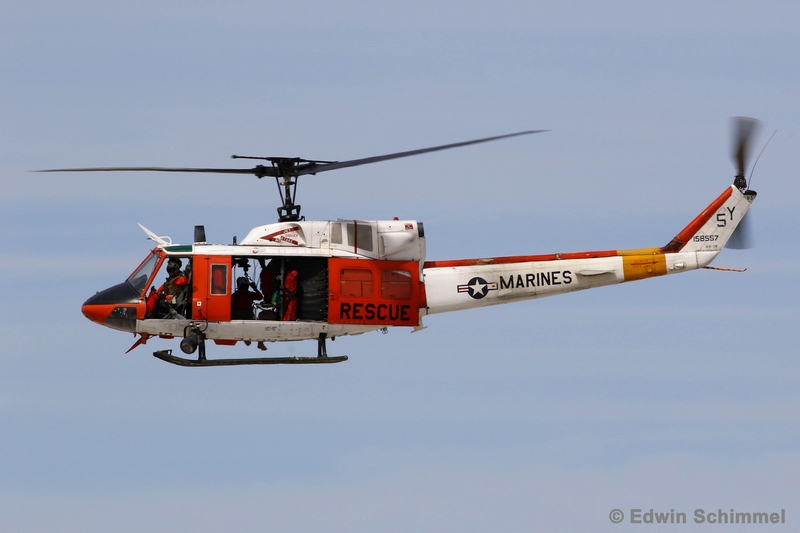 After this noisy start of the airshow it was time for one of the oldest and soon to be retired helicopters from the Marines to showcase its Search and Rescue (SAR) capabilities, the UH-1N. 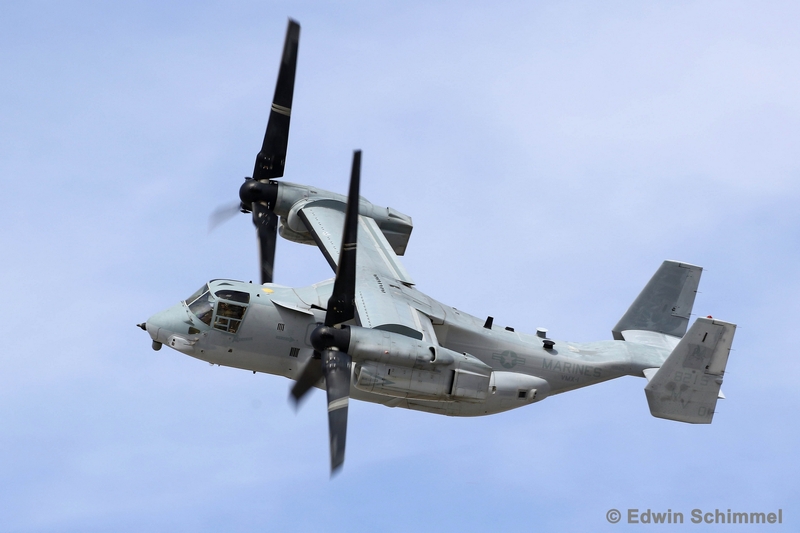 After simulating rescuing a downed pilot using the winch the MV-22B Osprey demo took over Yuma’s airspace. 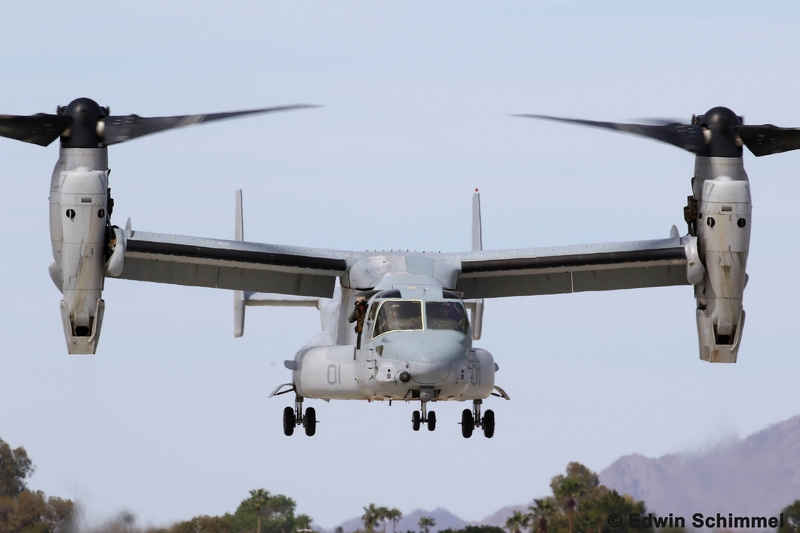 The demonstration showed the full range of performance capabilities with vertical take-offs, high speed passes and hovering maneuvers, tilting its wings and turboprop engines time after time. 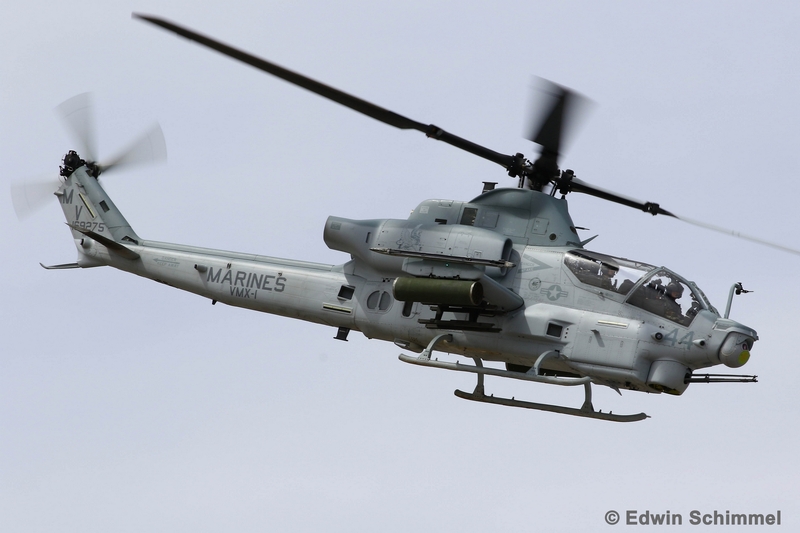 More helicopters took to the skies overhead Yuma when a AH-1 and a UH-1 started their infiltration demonstration, covered overhead by four colorful F-5N Tigers from the Yuma based VMFT-401 aggressor or adversary squadron. 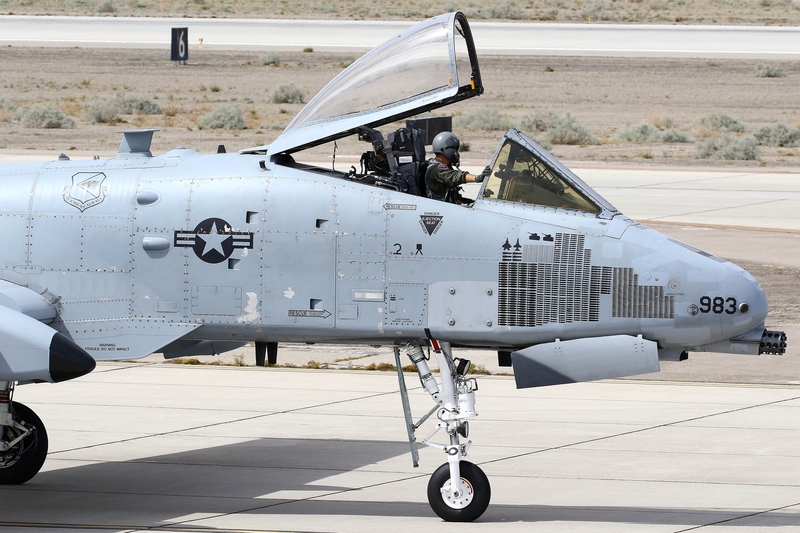 This year also the United States Air Force was present with a demo-team, this time showing the A-10C Thunderbolt II. After the ‘Warthog’ as the tank-killer is also called, took to the skies it flew an impressive demonstration supported by a pyrotechnic crew on the ground. 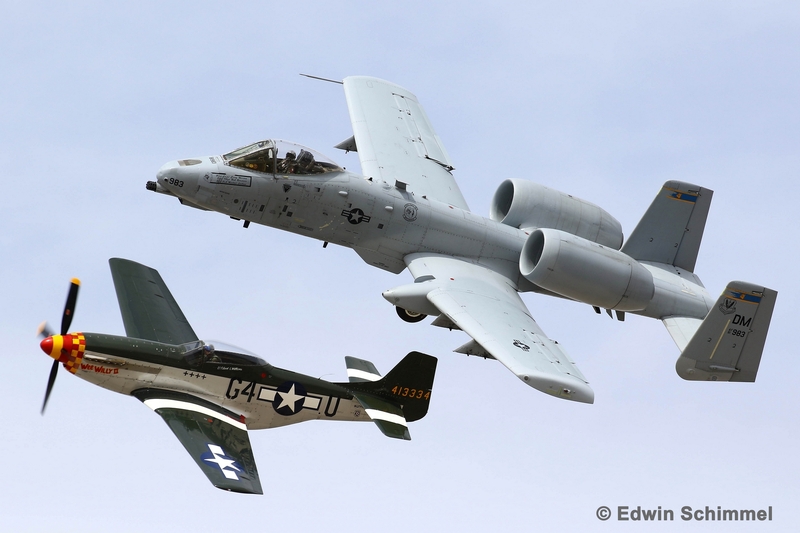 Thereafter the Davis-Monthan AFB-based jet joined up with a beautiful P-51D Mustang warbird making several beautiful passes as a Heritage Flight. 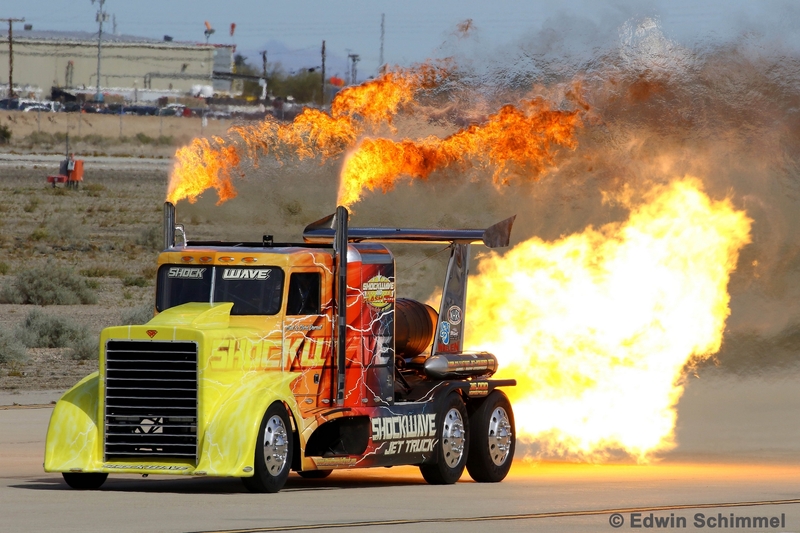 In between Shockwave, the fastest jet engine equipped truck in the world, made several widely applauded rides and after some warbird demonstrations the gates closed at 4 pm. 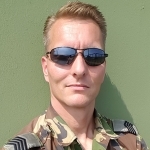 Edwin Schimmel (41) was born in The Netherlands in the approach/take off area of Soesterberg Air Base. After seeing the F-15’s from the 32nd Fighter Squadron (USAFE) overflying his house four times a day by the end of the 80’s, beginning of the 90’s his enthusiasm for military aviation was woken. 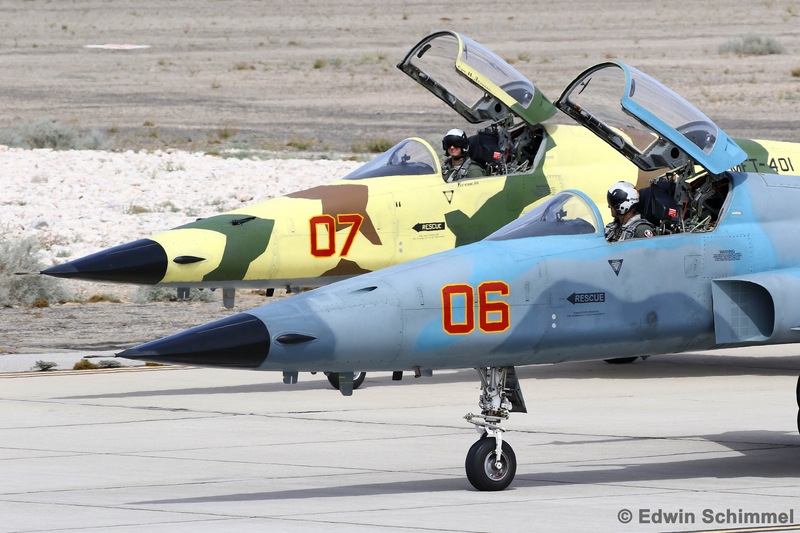 Edwin entered the world of military aviation photography in 1992, back than with an analog Minolta, nowadays with professional Canon equipment. 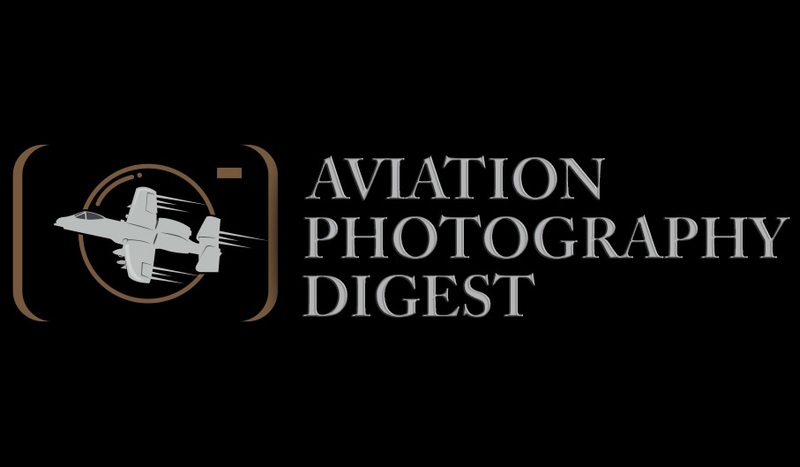 His first article and photo publications happened mid 90’s in Dutch aviation magazines. Later, his work was published in international magazines like Air Forces Monthly and Combat Aircraft. Since 2000 Edwin works within the Royal Netherlands Air Force within Air Traffic Control. The last years Edwin visited several bases and exercises throughout Western Europe, but also went to the US and recently to Japan.